Toyota’s Israeli division recently launched a television advertisement involving a sheep and a Prius hatchback. The point of the ad was to answer a question that has baffled many car enthusiasts; What’s more polluting, a Toyota Prius hybrid or a sheep? 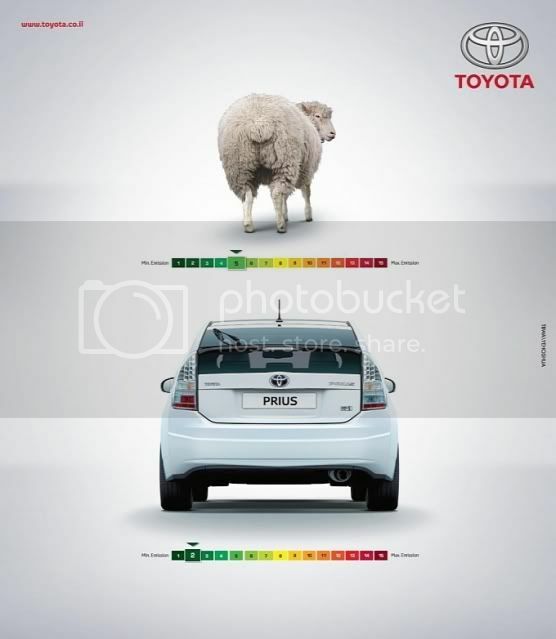 According to Toyota, the sheep is more harmful. The methane gas produced by farm animals is indeed worse for the planet, however, Toyota has failed to mention the greenhouse gasses caused by manufacturing the car, and all that energy required to create the batteries.